They say that lightning doesn’t strike the same place twice, but apparently flooding does. 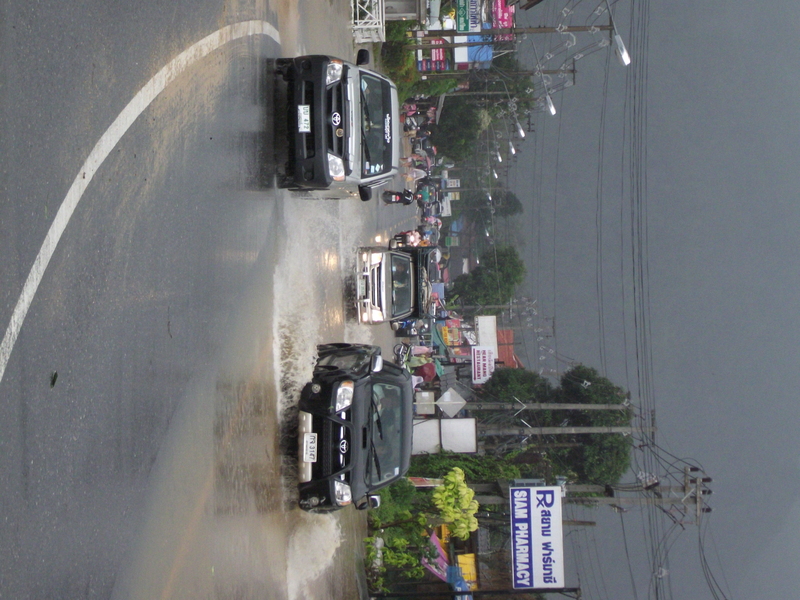 Last year we got caught in what, at the time, was considered the worst floods ever in Koh Samui’s history. Everyone thought it was a freak event, including me. Which is why I should have known better when one day the skies opened up and it didn’t stop raining for seven days straight. 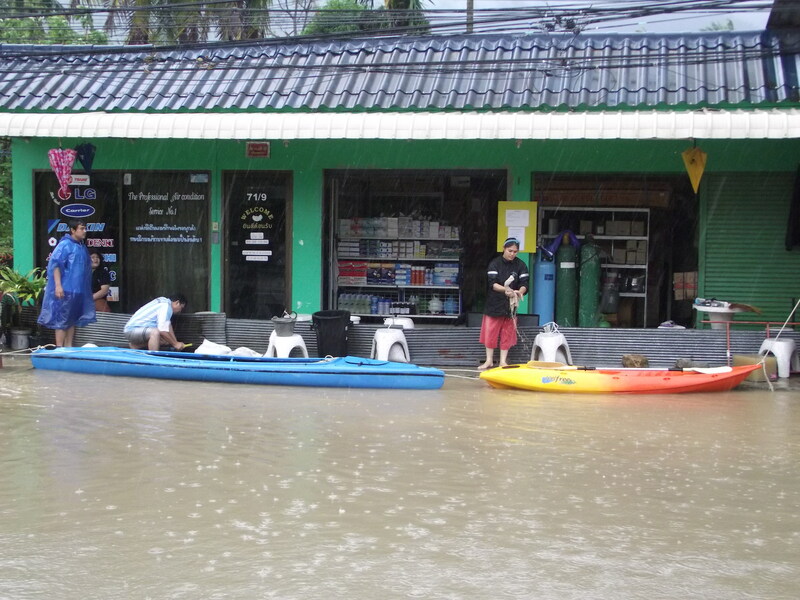 But what are the chances that I’d happen to be in Samui for the second worst flood in the island’s history!? 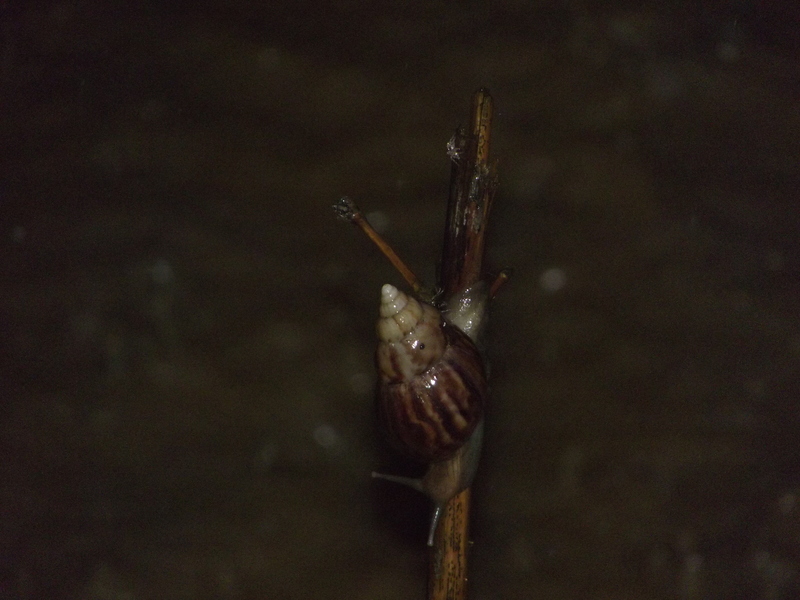 It rained, and it rained, and it rained, and it rained. All day and all night. We went to sleep in the rain and woke up in the rain. 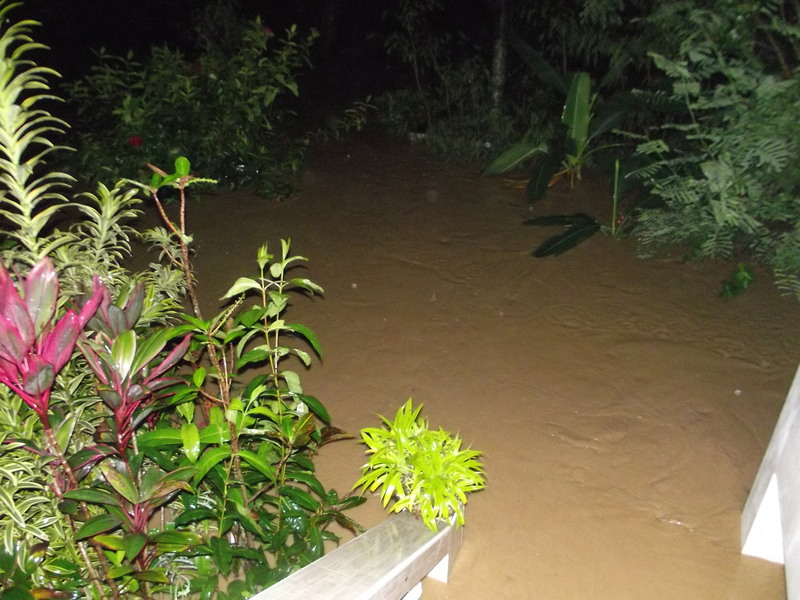 But no one expected the kind of flooding that we experienced. 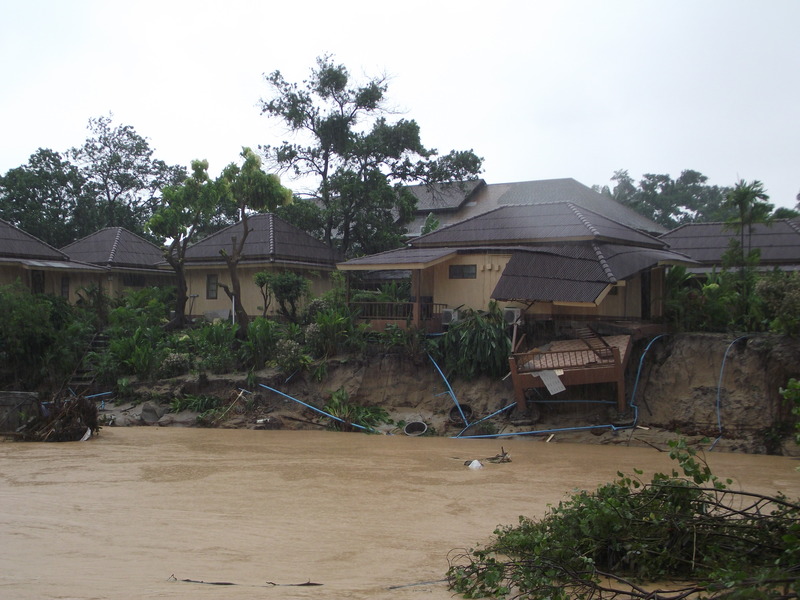 Thankfully most Thai houses are built up on stilts, so the house was fine even as the garden filled up with four feet of water. The steps from the ground to the house disappeared under the water, one by one. The whole area turned into a giant river, with a variety of items floating past, like styrofoam coolers, shoes, boxes, bags of garbage, and, unfortunately, an old plastic hard-case Samsonite suitcase I had forgotten under my father’s house. I guess someone else is enjoying it now. Being trapped in the house is one thing, watching and waiting while the water continues to rise. 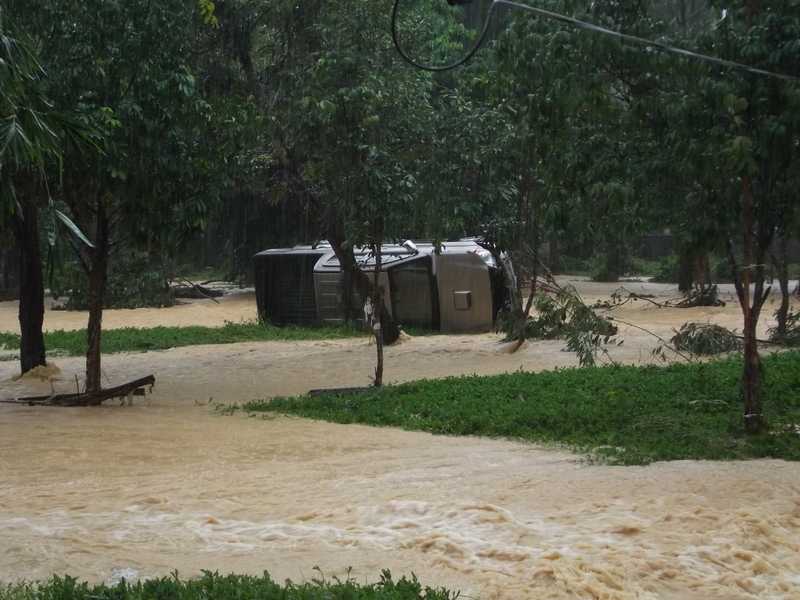 But it got real bad when we lost electricity, and then running water, and then mobile phones. We were totally cut off from everything, and we couldn’t leave the house. My father had tried to park his car up on a higher piece of ground, but by morning we found it full of water and mud, the engine dead. When finally the flood waters receded, we decided to make a go for it and venture out to get some supplies. 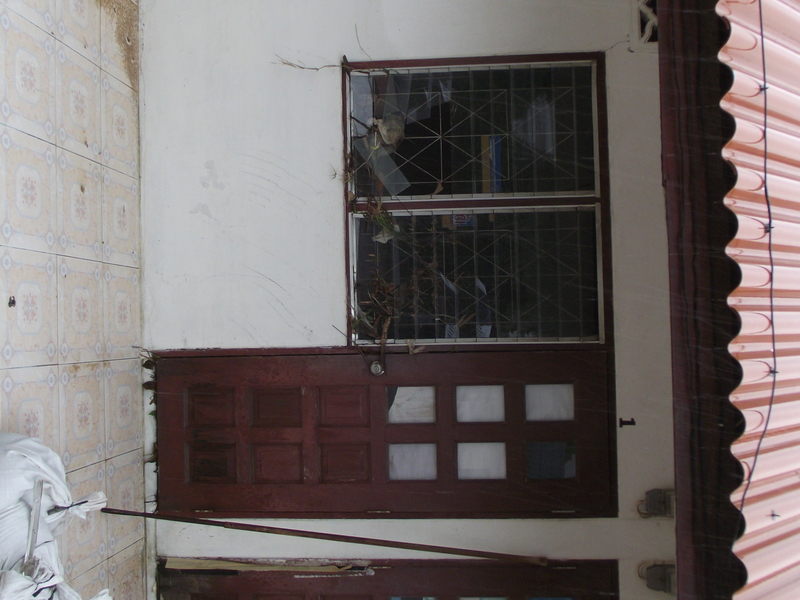 The level of damage this time was far worse than what we experienced last year. The water must have been so strong, and carrying so much heavy and dangerous flotsam and jetsam, that it broke the huge pane glass window of the 7-11 on the corner. As we walked by, huddled under our raincoats, the family members of the owner kept a vigil by the door. Everywhere you looked was a disaster. Imagine the force of the water to flip a truck! Many buildings fell into the rivers, both in the slums and in the fancy hotels. I guess mother nature doesn’t discriminate. Other than the hardships of being stuck in a flooded out town with no water, no power and no phones, another major problem was that I had a flight out of Samui on March 31st, and the airport was closed. Nonetheless, I packed up my bags that night, and figured that in the morning, if the roads were clear and some of the water had drained off, I would at least make a try for it. We awoke the next morning glad to see the water pretty much all gone from the garden, though the roads were still partially underwater. We had no idea if the airport was open, and the phone lines were still down, but Bob called out to his neighbour who has a big powerful pick-up truck with four-wheel drive, and he agreed to try to take us to the airport. “I’ll see you in an hour!” I joked to Bob’s girlfriend, convinced that we wouldn’t make it and would be back in time for breakfast. Slowly we inched our way through some very deep waters and emerged into a drier section of road. We drove slowly, looking at all the destroyed homes and wrecked cars and motorbikes. But then there was a sign of hope — a taxi heading in the opposite direction with a tourist in the backseat! Our driver slowed down and called out from his window to the taxi driver. “Good news!” he said. “They just came from Chaweng. If Chaweng is open, the airport must be open.” So off we went. So said so done — the airport was open. But boy was it a scene of chaos. Thousands of stranded tourists who were two days late on their flights, and no doubt missing their connecting international flights from Bangkok. The Samui Airport was not in any way equipped to deal with this kind of catastrophe. There was no organisation, no lines, no signs. But, they did have electricity, thank goodness. We asked a few people in different lines what they were waiting for and no one seemed to know which line they should be in. After about half an hour we found a line that was supposed to be accommodating passengers flying that day. Unfortunately for people who were two days late, they would have to go on stand-by. I stood for four hours in the line as people slowly filtered in to the airport and the ground staff slowly tried to figure out what the hell to do with so many thousands of people. During all these hours of tedium, boredom and uncertainty, I chatted with a lot of other people on my flight, including an Aussie who had never left Australia before, an American couple on their honeymoon, and three Kuwaiti gentlemen who were extremely kind and generous and a great help. I guess a catastrophe is a great equalizer — we’re all in this thing together, so you may as well make the best of it. Finally, everyone’s ears turned to the sky — the wonderful glorious sound of a plane’s engine approaching! The entire airport burst into spontaneous and joyous applause and cheering. The planes were able to land, which meant that at least some of us would be able to leave. But after six hours, people were really starting to get irate. Some Chinese passengers tried to squeeze in front of the line for the flight to Hong Kong and about a dozen people started a shouting match. The ground staff kept pleading with people to line up and be patient but everyone was angry, frustrated, and tired. It got so bad that they announced that the Thai Royal Navy was sending a ship to take 300 passengers over to the mainland, first come first served. A bunch of people rushed over to the line, taking whatever transport was available, even if it meant then taking an 8-hour bus to Bangkok. It was exhausting waiting in the airport, and people started to spread out old paper boxes to sit on. Some people dozed, some read books. The airport started providing huge pots of free soup to everyone because there was no food to be had. Not to mention the fact that it was still bloody raining and we couldn’t leave the airport to go buy food. I have no doubt that the handling of this event is going to be a really bad reflection on Bangkok Airways, which owns and operates the airport, because I have to say they truly failed to handle the situation properly. I finally got on a plane at about 6 pm, and I had been there since 8 am, but I was one of the lucky ones. Some other people I talked to had been there for two days and had no idea what they were going to do about their missed flight back to the UK. Nonetheless, we gratefully took our seats on the plane, and breathed a sigh of relief that we were getting off the island. As the plane took off and we roared into the sky, the plane full of hungry, stinky, tired tourists clapped with joy. We were getting out! I have to admit, it was a great feeling to touch down in Bangkok and look out the window and not see rain. Amazingly, the storms and the rain had brought the temperature in Bangkok down to a chilly 20’C which is a very sudden drop considering the fact that Bangkok is usually 35’C. Everyone shivered in their shorts and flip flops. But, we got our bags, and wearily went on our way. I said goodbye to the people who had been there for the past eight hours waiting in line with me, and we all wished each other well. Something that really stood out for me in this experience is how, in times of duress, strangers can come to your aid. When the airport started giving out free bottles of water and packets of biscuits or cookies, the three bearded Kuwaitis always came back with a bottle of water for me and insisted I eat some of their crackers. Whenever the Australian backpacker needed to go to the toilet, or vice versa, we watched each other’s bags and made sure no one stepped on our cardboard seats. Whatever small acts of kindness we could offer each other to relieve not only the stress, but also the boredom, were extremely appreciated. And people that you probably never would have talked to ended up being allies in time of need. That is probably what I will remember most during all those hours in the airport; the feeling of camaraderie during a very difficult and unpleasant time. So, I left Samui, and left Bangkok, and now am back in Hong Kong where it is nice and safe and dry and most definitely not raining. I feel really bad about leaving my father back in Samui to clean up the mess and have to deal with the mud and the flooded car and everything, but I am very grateful I was able to catch my flight. 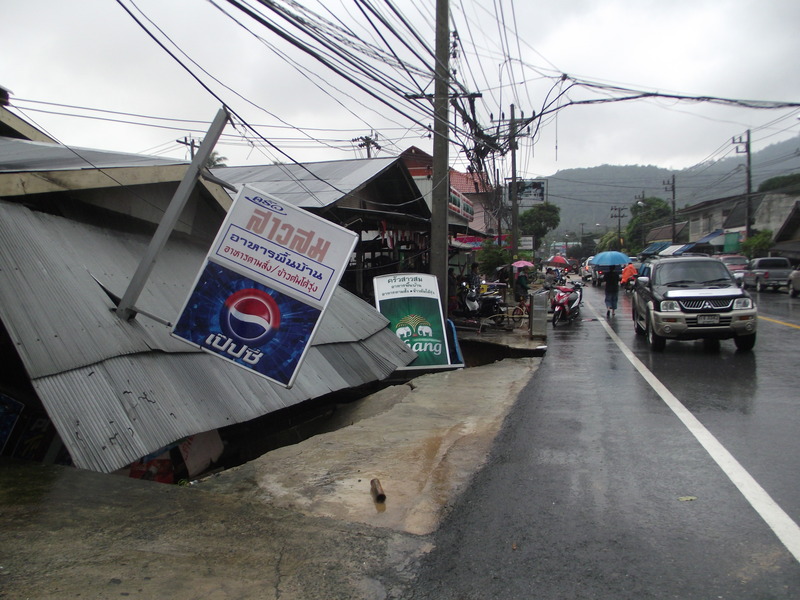 I have a feeling it is going to take a long, long time for poor Samui to get back on its feet. Thanks for writing this up. I think I saw one short clip that there was some flooding in Thailand, and that’s all. I hope they are able to get some help. Are you looking forward to the desert? Wow.